The day has finally come when it’s time for you to move out on your own. The best and most common housing choice for college grads and young adults are apartments. They’re typically more affordable to rent than homes, can be shared with a roommate, and even come with some perks, such as paid trash or a community fitness center and pool. 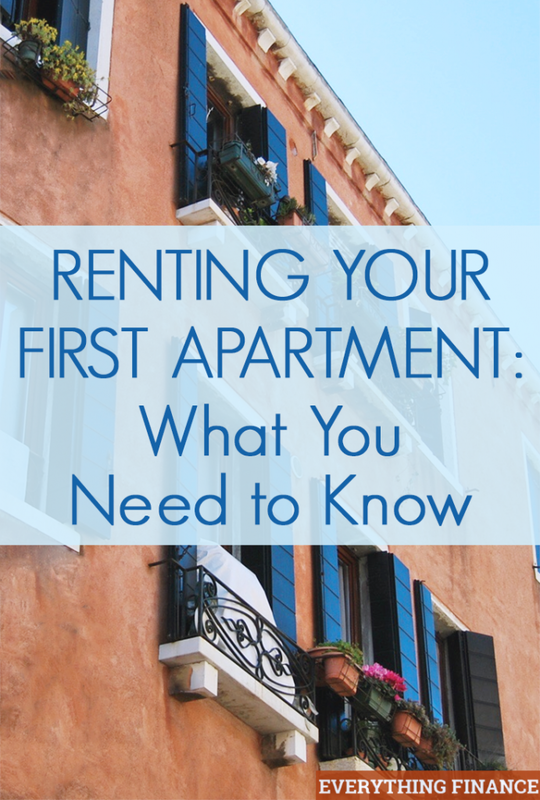 While renting your first apartment is exciting, you should also be aware of everything it entails. Here’s what you need to know before signing the lease. Before you start looking for an apartment, know what you can afford. Will you choose from the NYC Sublets or just find someone who is looking for a roommate? If you plan on having a roommate, be sure to find one before signing the lease if you can’t afford the entirety of the rent on its own. To be financially wise, your rent payment should not exceed 30 percent of your income. Remember you will be paying more money than just the rent payment for your apartment. You will also have to factor in the costs of utilities – electricity, internet, cable, trash, gas, and water – if those aren’t included. You can factor all of these into your monthly budget easily if you use an app like Personal Capital. Good credit or good rental history are required to rent an apartment. However, if this is the first time you’re moving out on your own, you might not have built up enough credit yet. In this case, be prepared to show proof of income, as well as contact information for a work reference. You can check your credit for free with Credit Sesame! Showing bank statements with at least three months’ worth of rent in your account is also wise. You may also need to use a co-signer, and if your parents are willing to co-sign with you, don’t be too proud to accept their help. If you qualify for a lease agreement, congratulations! This is a legally binding document that protects you and the landlord. Be sure to ask the landlord any questions before signing the lease. If you’re still unsure about some points in the lease agreement, ask someone else, such as your parents or a lawyer. You want to know what you are signing for through and through. Also, it is best to know what fees will be required of you up front. Landlords generally charge a fee to run your credit, and they also require a security deposit, pet deposit or fee, and utilities deposit. Roommates are a great way to save money, but even if you plan on living with your best friend, certain precautions should be taken. Have your roommates sign a co-tenancy agreement, which is an agreement that spells out all the responsibilities and liabilities for each person. It’s better to be safe than sorry when preventing possible legal problems. Now that you have the keys to your apartment, don’t start moving in your furniture just yet. First, take good pictures of the apartment before you move anything in. Make sure to capture the quality of the carpet and the walls, if the carpets look a bit dirty, hiring services of carpet cleaning in Bloomfield, CT will solve the problem for you. Take photos of any damage that was present before you moved in. If you do see problems, you should notify your landlord about them before moving in. When it comes to repair requests and complaints, put and get everything in writing, and make sure you keep copies of all written requests or complaints you made to your landlord. Hopefully you’ll never have an issue with your landlord that needs to be taken to court, but if you do, having organized documents of everything will keep you from being liable. Welcome to apartment living. You will always remember your first apartment, especially due to the comical issues that occur due to small-spaced living. What was your first experience like renting an apartment? Whether you are moving in the first time or the 4th time, all these things are important. And personally I think that if you are single then you should always be willing to share an apartment with someone as it will really help you save a lot of bucks in the long run. Then you can use this money for something that will help you and your financial status in the future.